I just have to start this post off with a picture of the creative DIY press kit!! 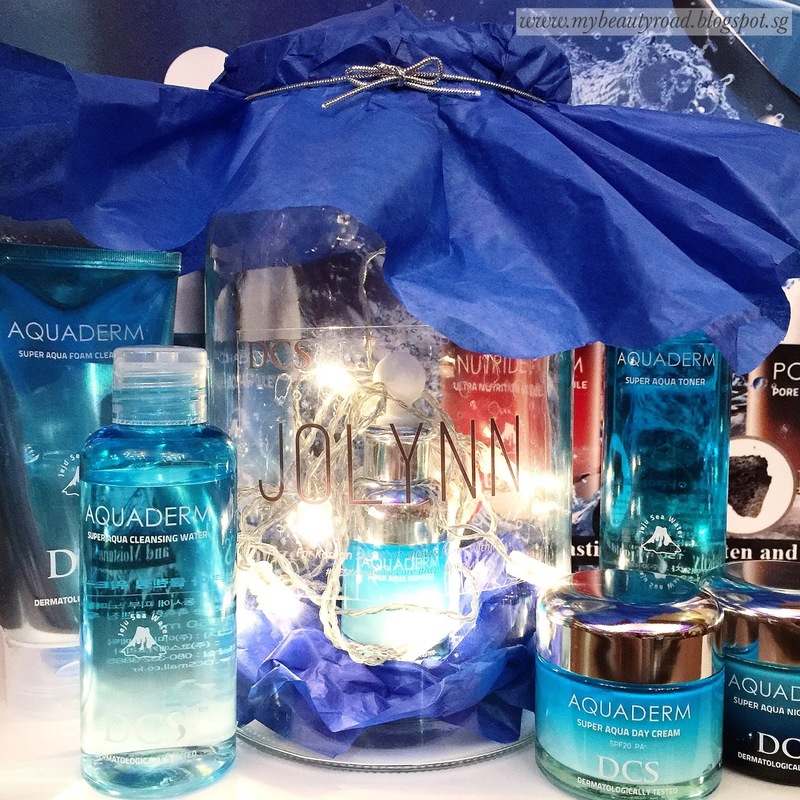 Well-received in its home country, Korean skincare brand DCS Cosmetic (DCS stands for "Dermatology Cosmeceutical Solution") makes its mark in Singapore with its hydrating range - AQUADERM. The key ingredient prominent in every DCS product is the volcanic seawater all the way from Jeju island! DCS specially infuses each one of its products with Jeju's mineral-rich volcanic sea water, making it possible to tap into the volcano's rejuvenating power for healthier glowing skin. DCS has 5 ranges, from hydrating to anti-ageing, ensuring that every skin need is catered for. In line with their cruelty-free business philosophy, all products from DCS are not tested on animals (thank you, DCS!). They are also paraben-free.